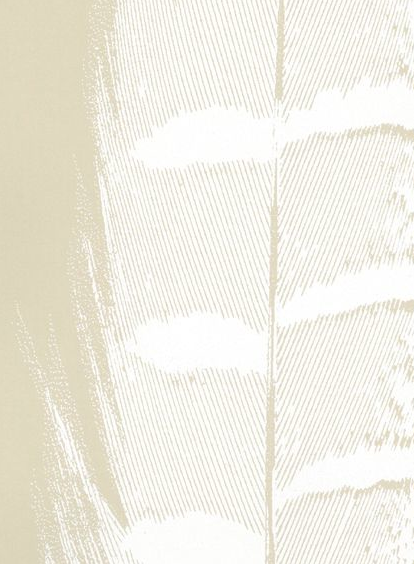 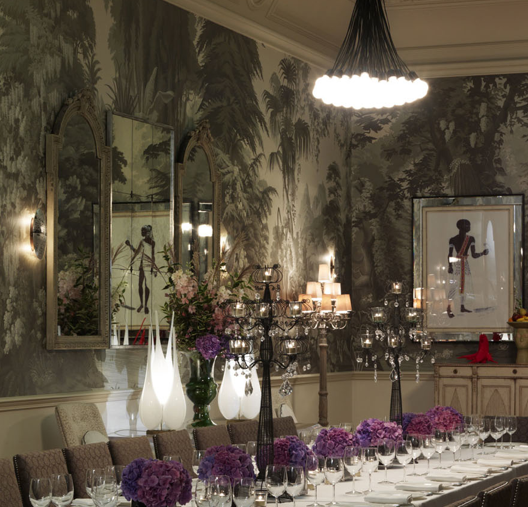 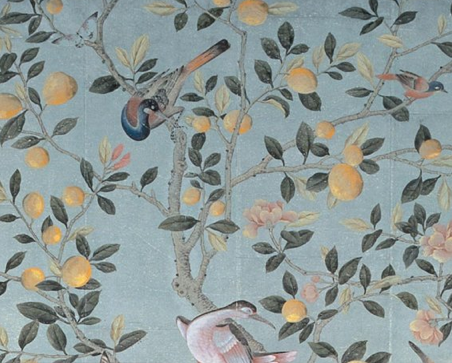 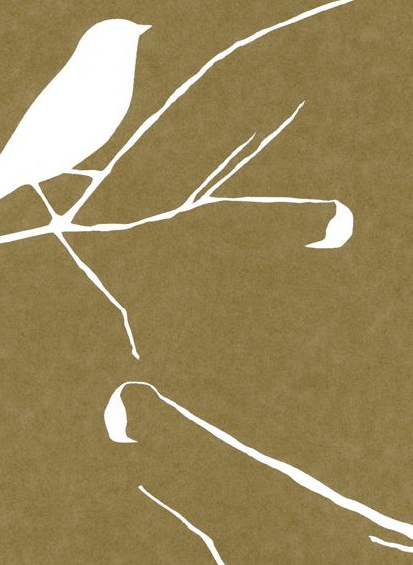 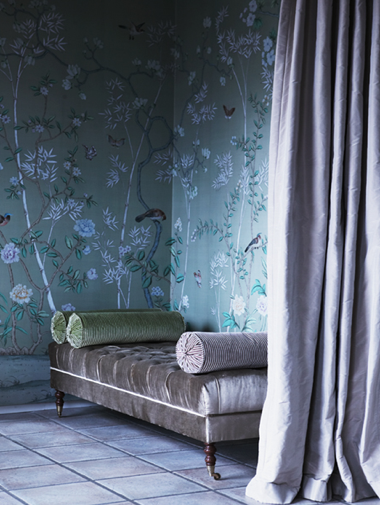 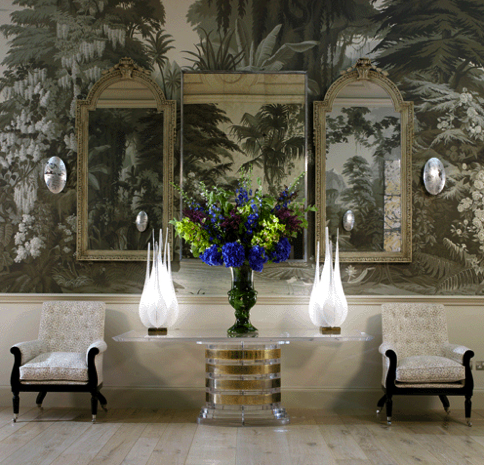 My final bird inspired post features the British company de Gournay, the source for the worlds most beautiful hand painted wallpapers, fabrics and porcelain. 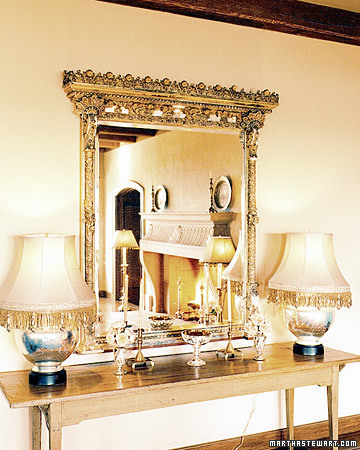 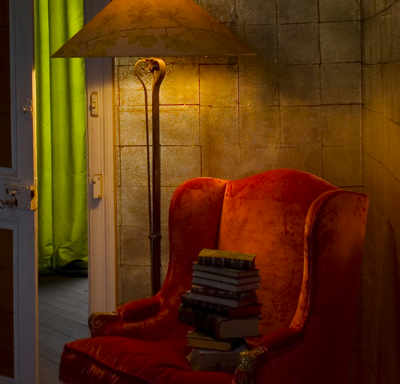 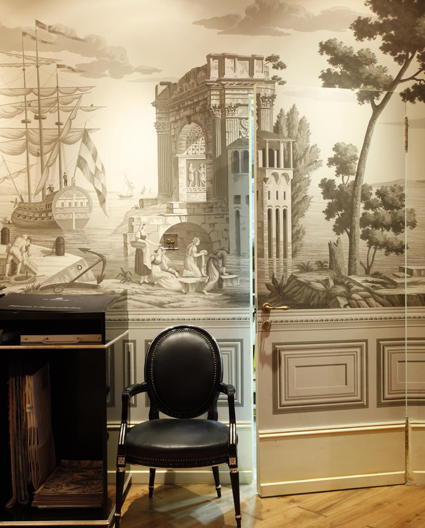 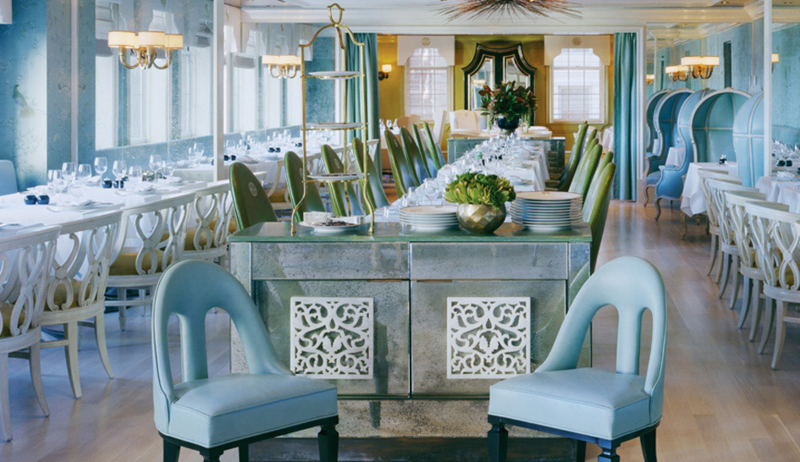 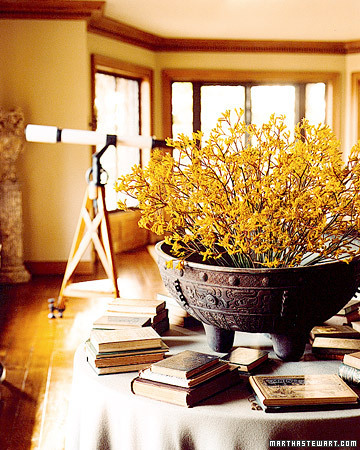 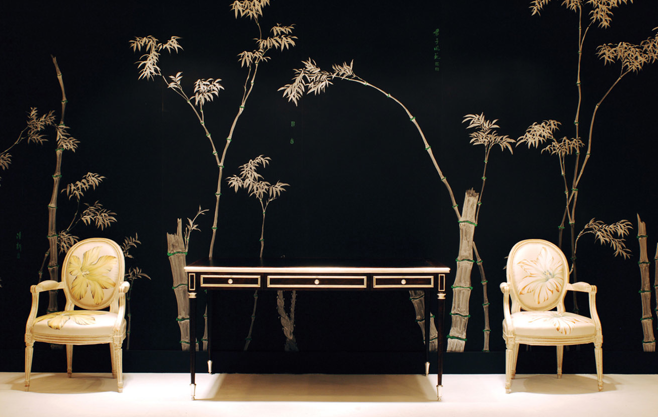 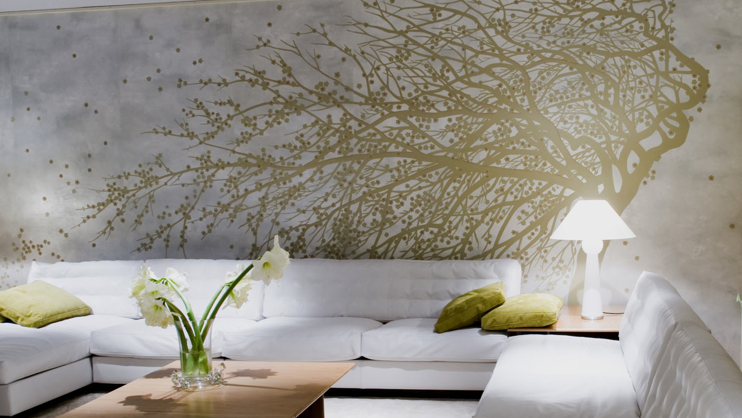 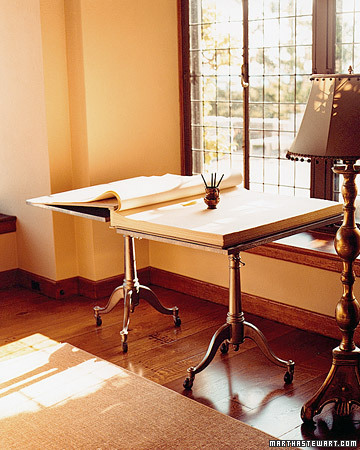 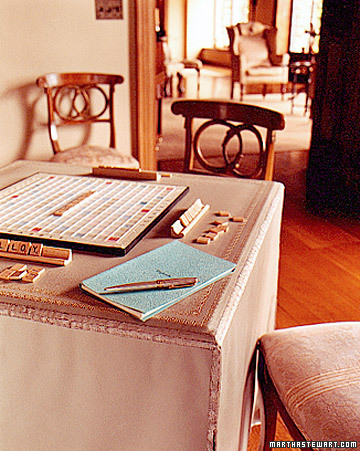 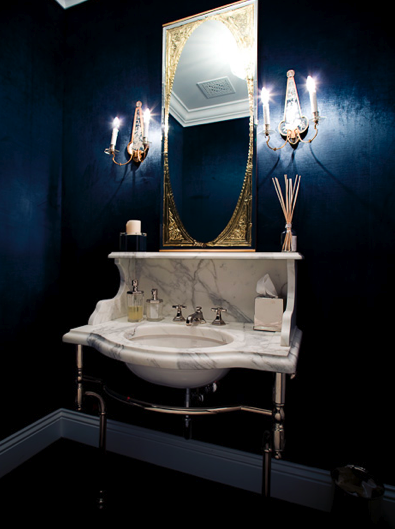 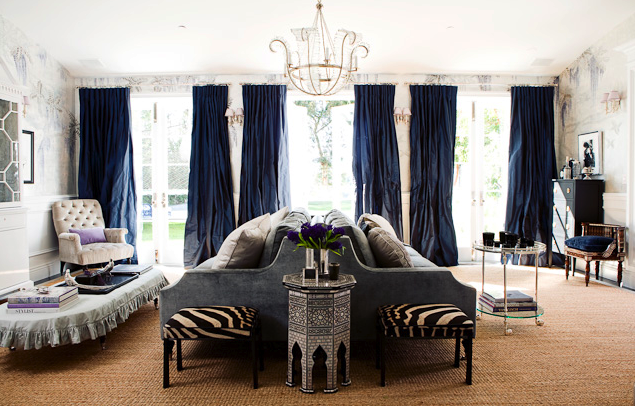 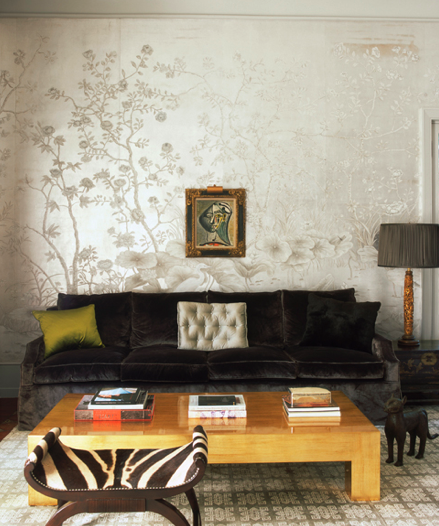 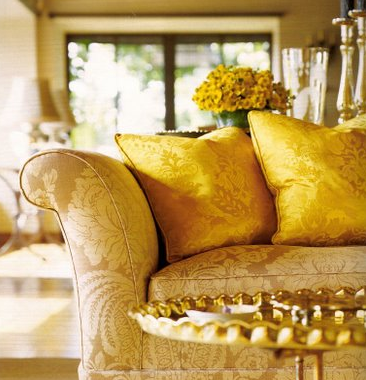 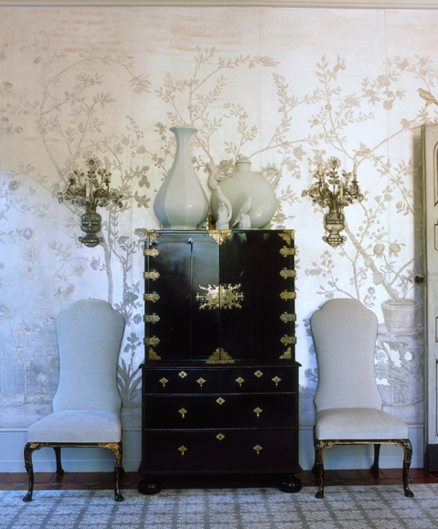 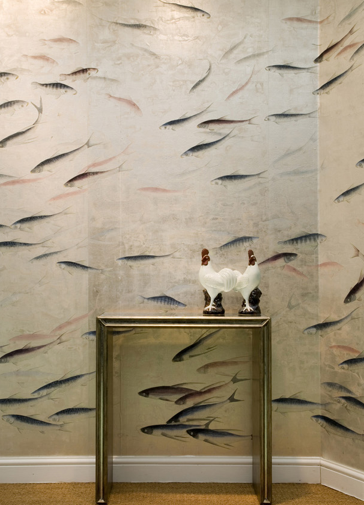 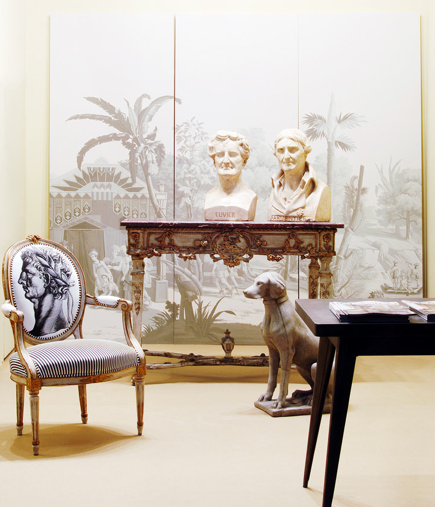 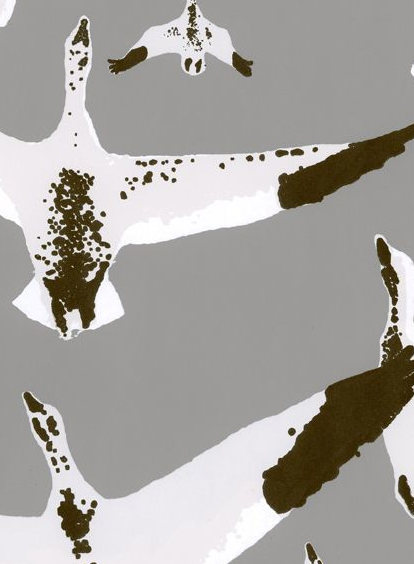 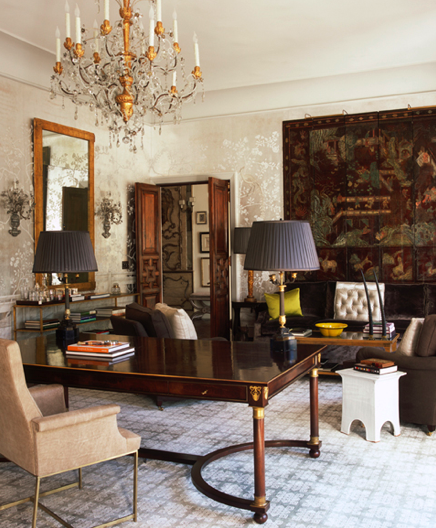 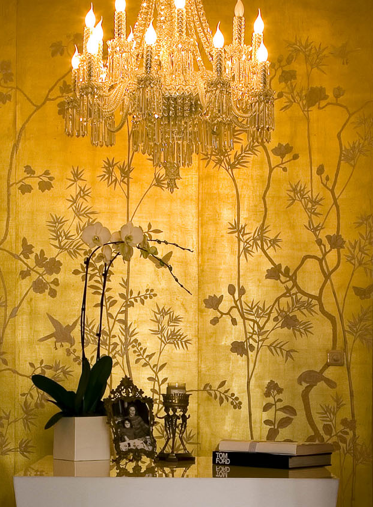 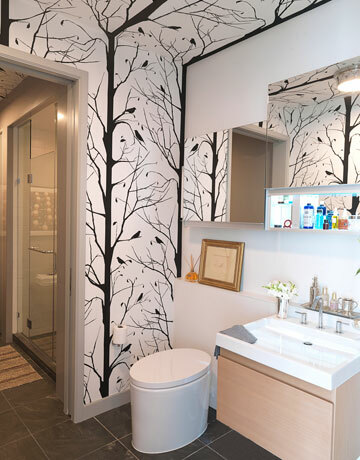 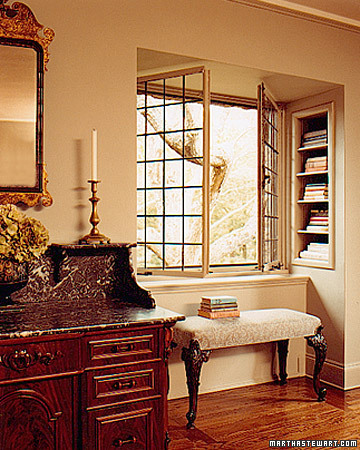 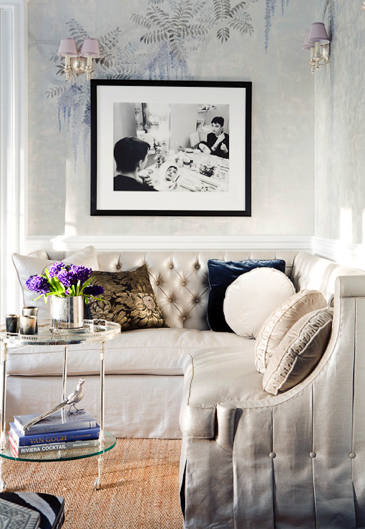 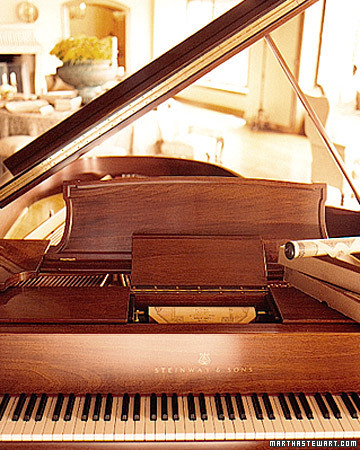 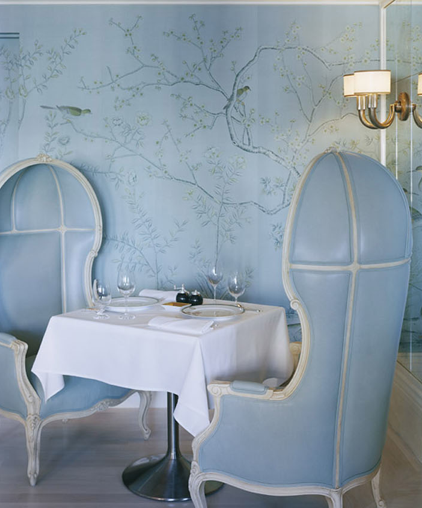 It comes as no surprise that top designers like Miles Redd and Kelly Wearstler choose de Gournay papers for their most important interior design projects. 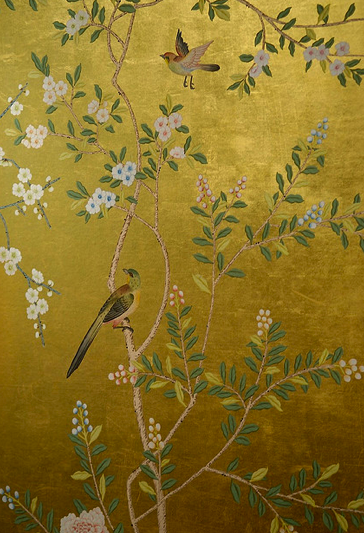 I’m especially fond of the Chinoiserie Collection depicting exquisite birds and flowers hand painted in the most gorgeous colors imaginable, using the same techniques as in the 18th century. 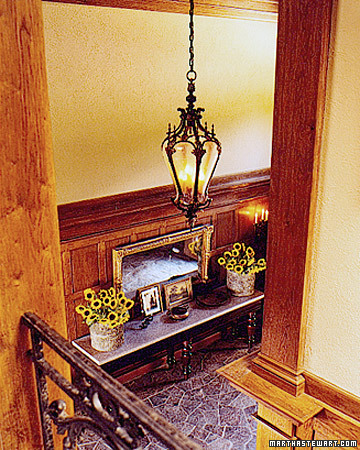 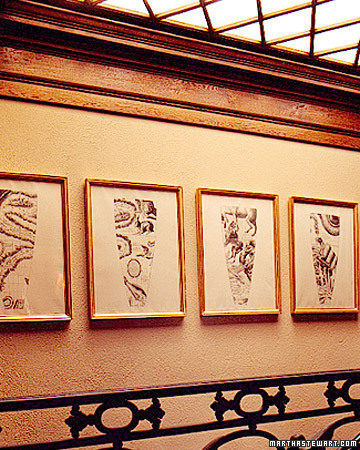 Please enjoy these breathtaking works of art! 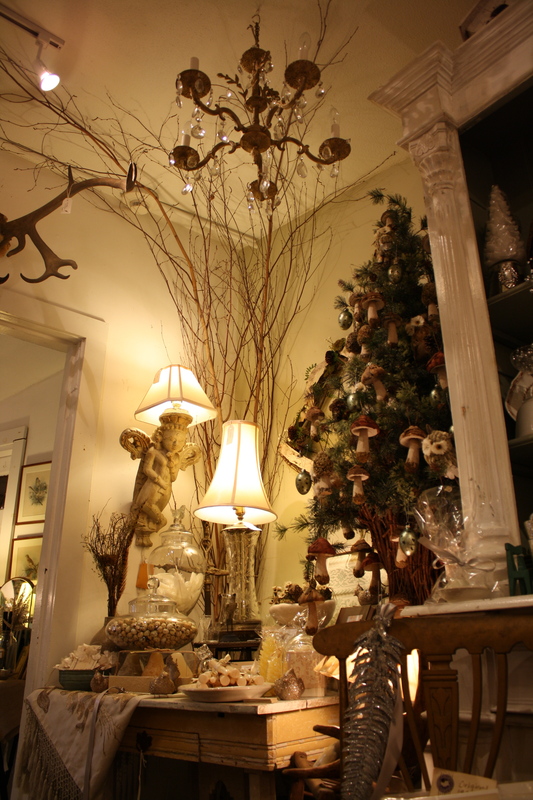 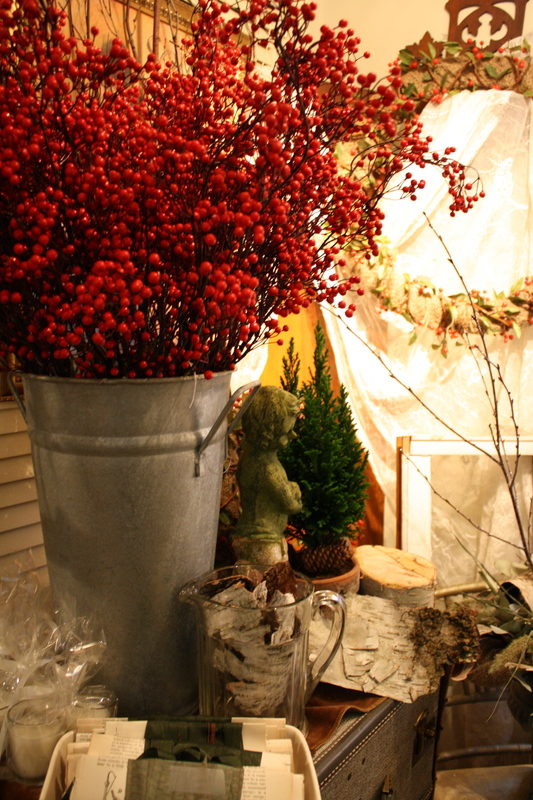 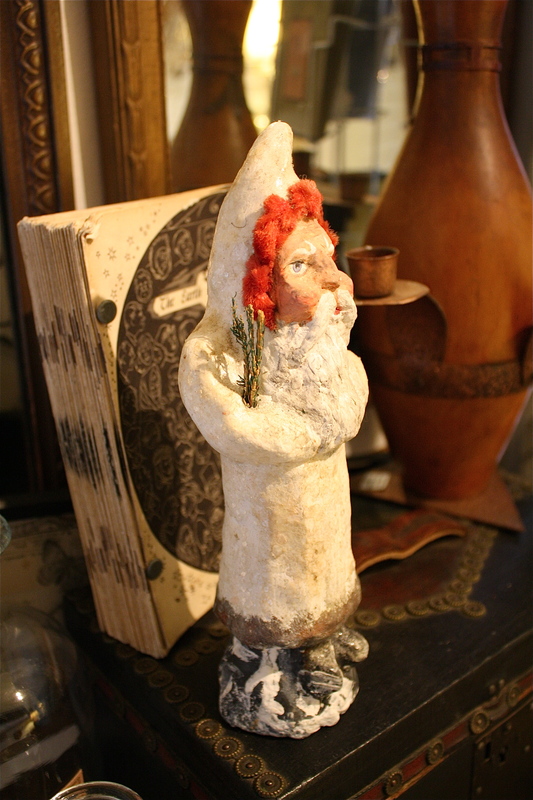 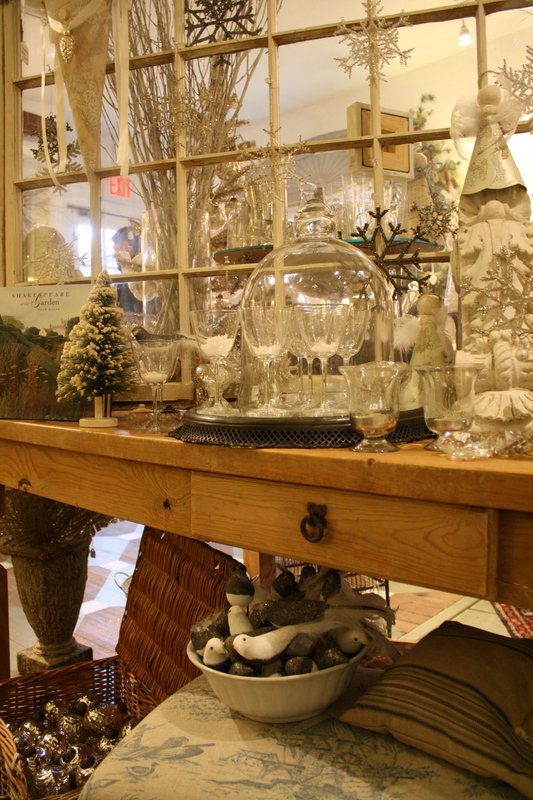 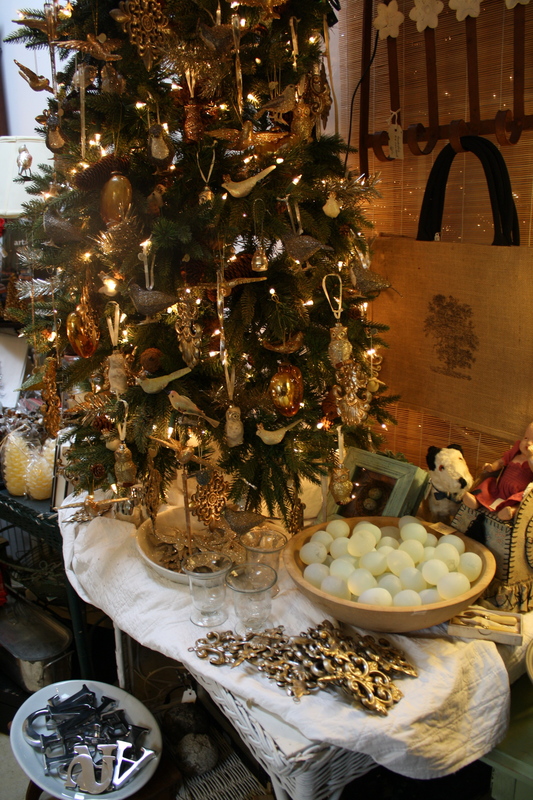 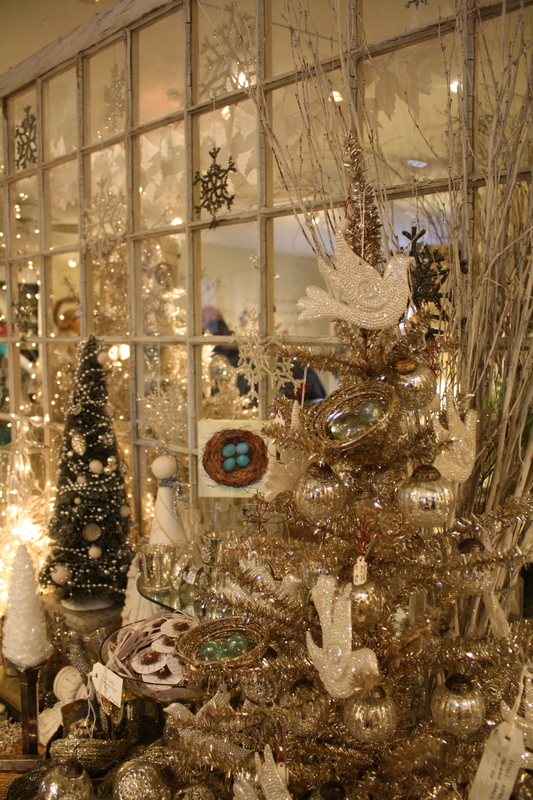 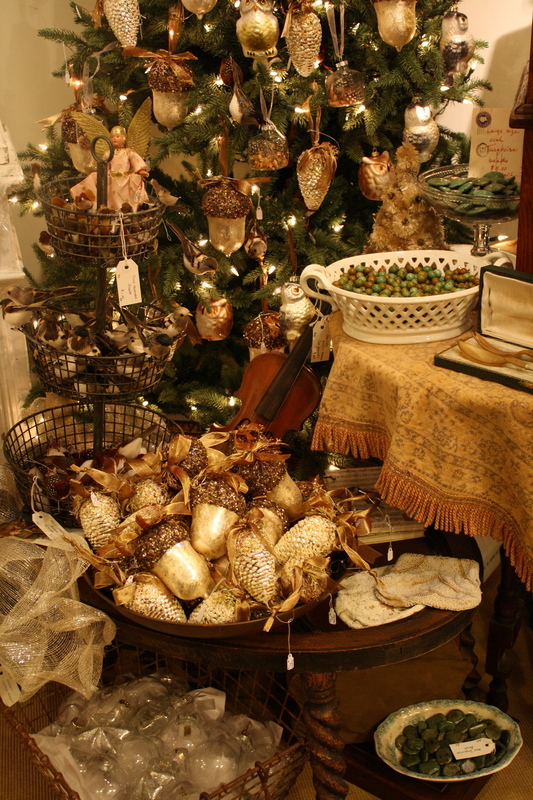 I am very pleased to share with you the 2010 holiday decor at Nesting on Main in Concord center! 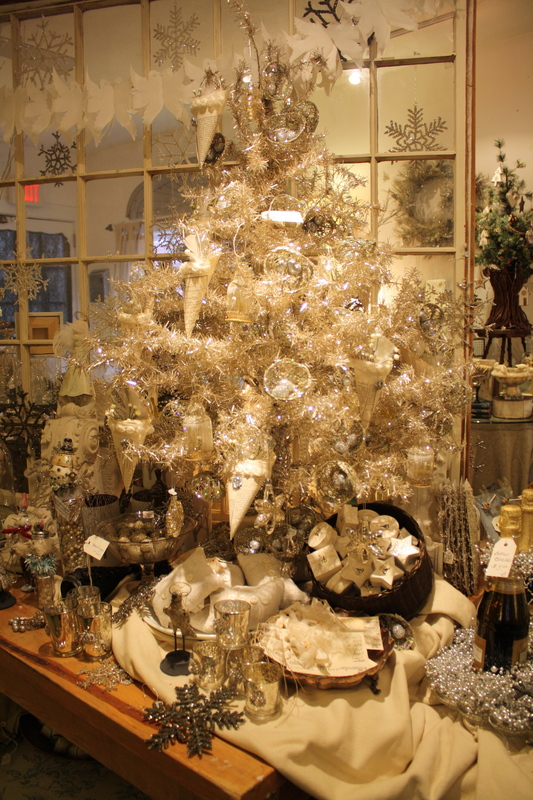 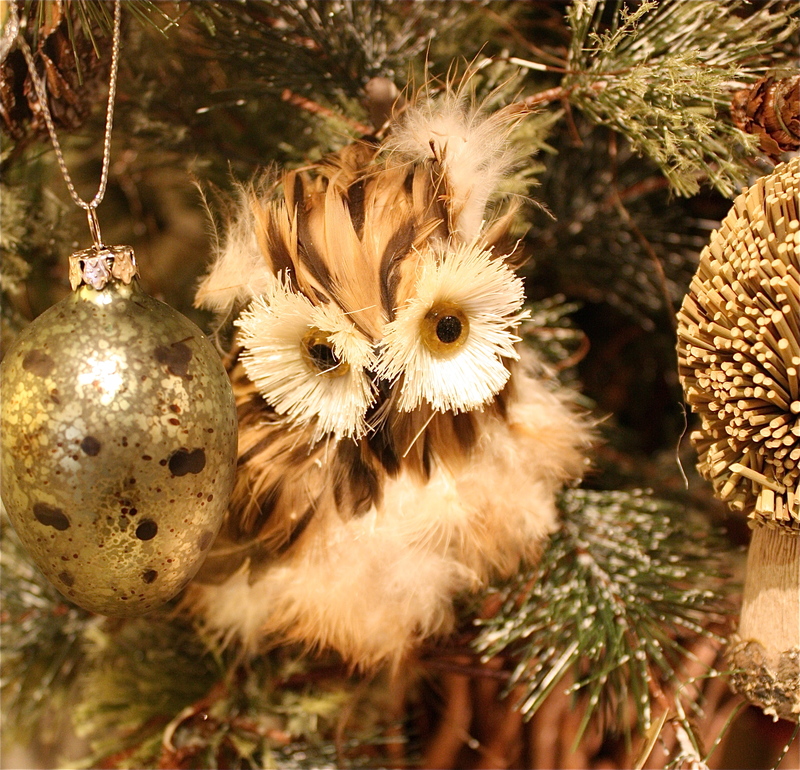 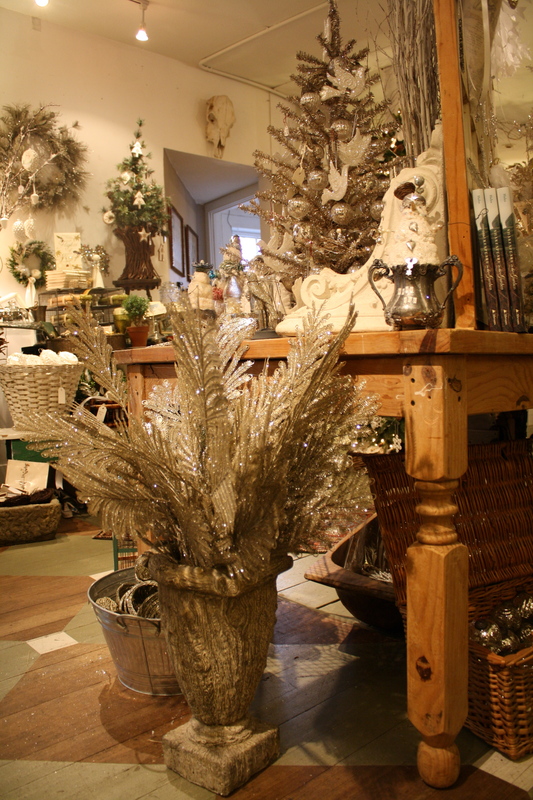 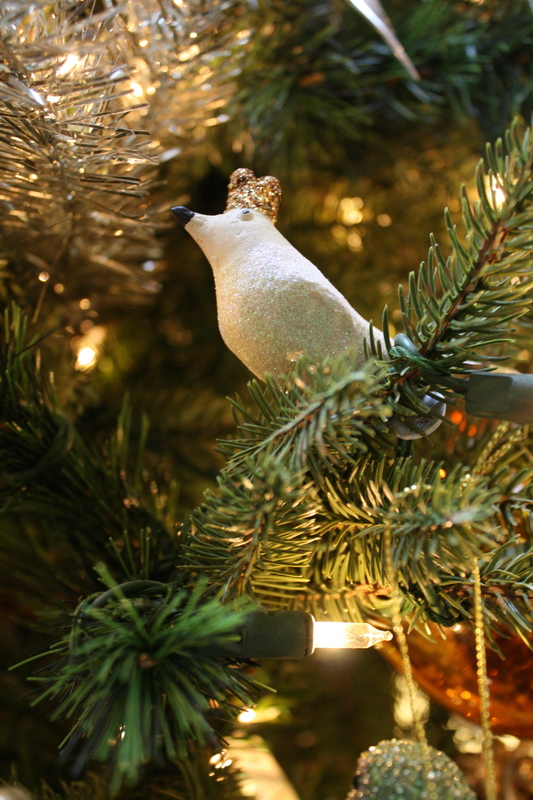 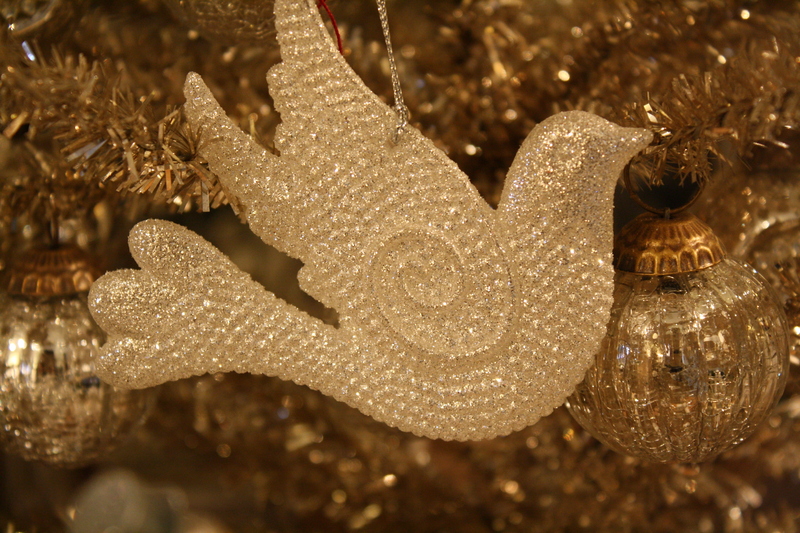 Sparkling Christmas trees adorned with nature inspired ornaments set the tone for a silver and white winter wonderland! 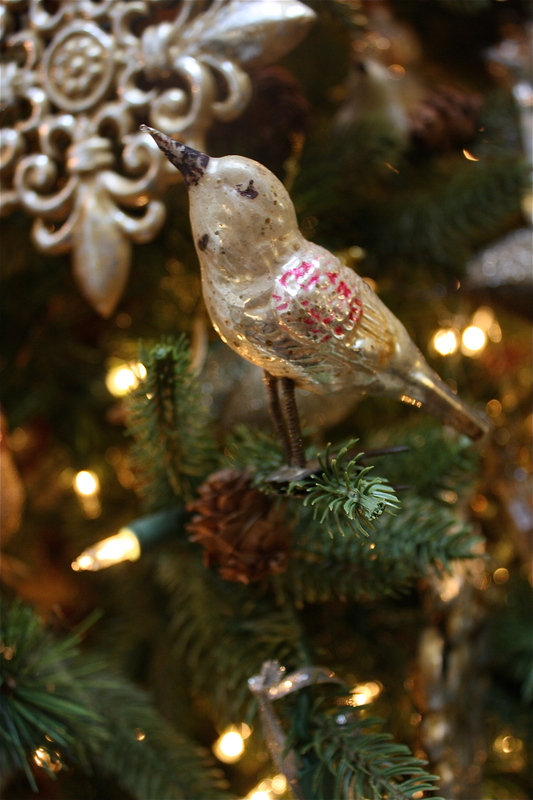 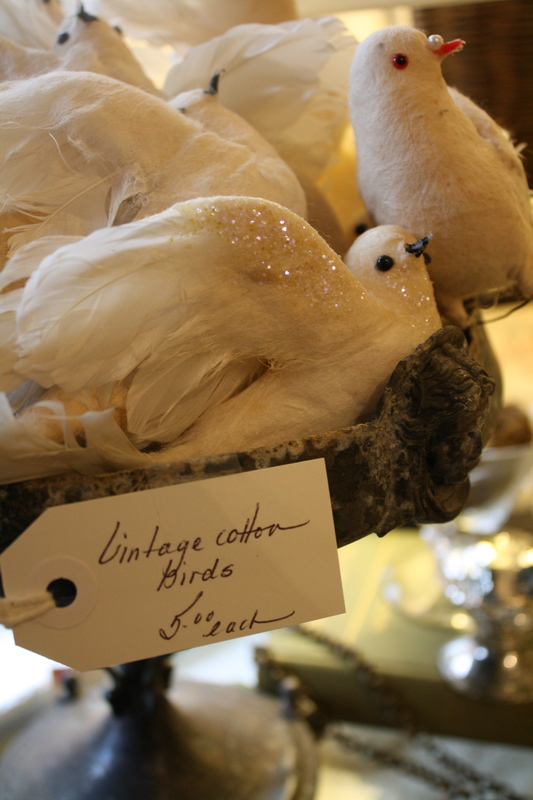 My favorite ornament this year, the vintage cotton birds (pictured above) credited to a Filene’s Store Christmas display from the 1950s. 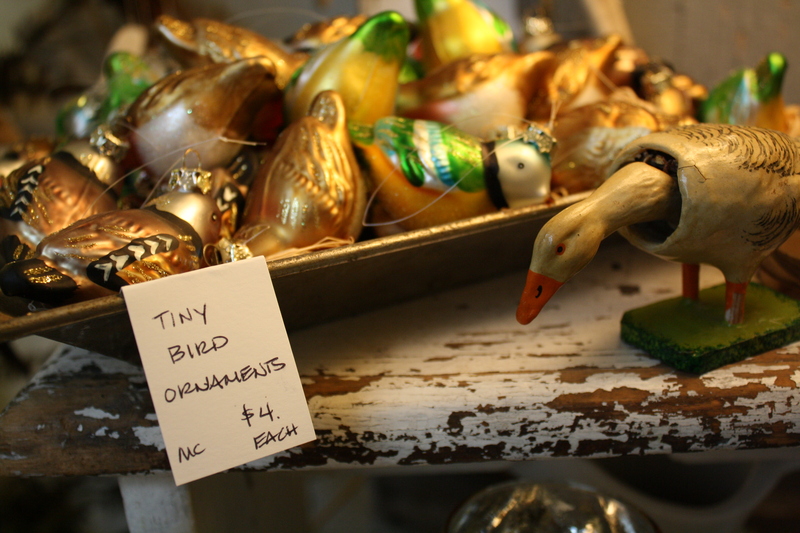 They are in perfect condition and at only $5 each, I just couldn’t resist their vintage charm. 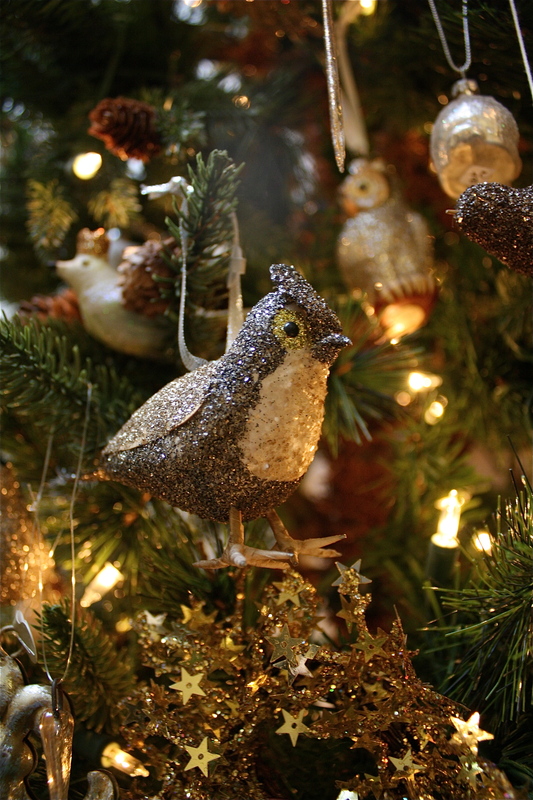 10 of these little lovelies came home with me and will be my inspiration for this years holiday decor. 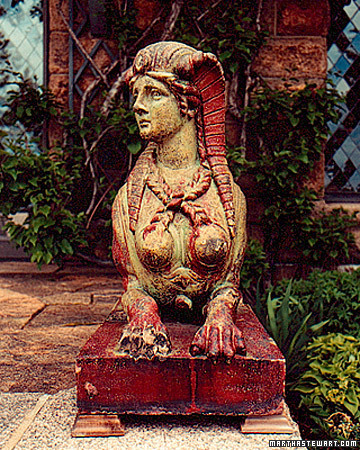 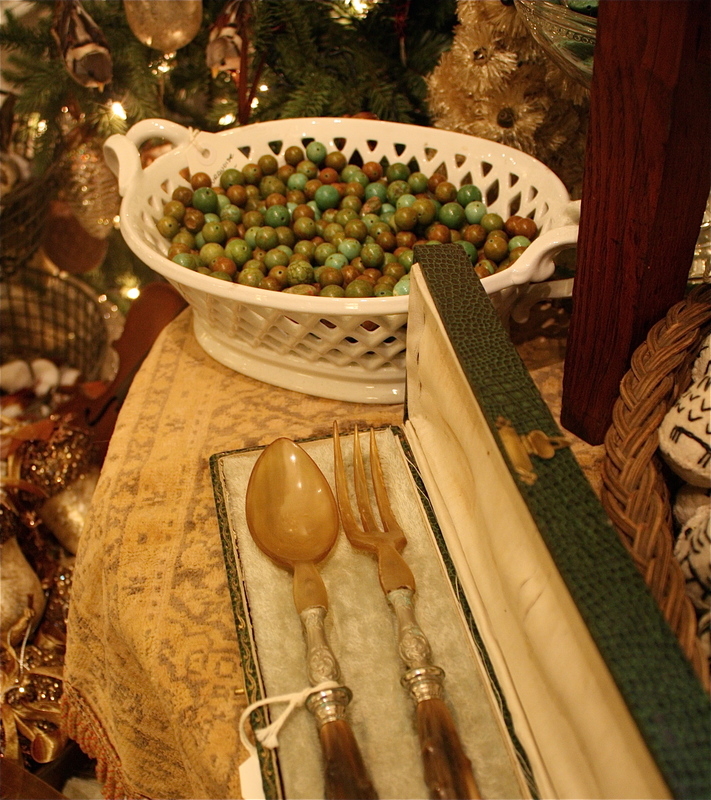 I also purchased a gorgeous set of antique salad servers from Paris (pictured below). 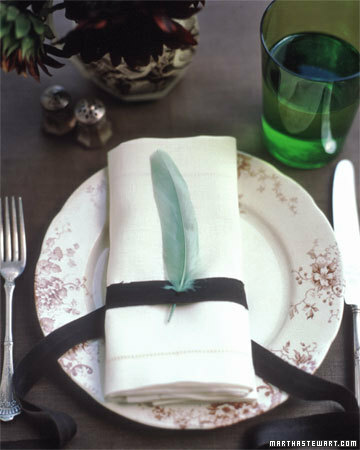 The original case is as exquisite as the flatware, green snakeskin leather with a pale blue velvet lining…simply divine! 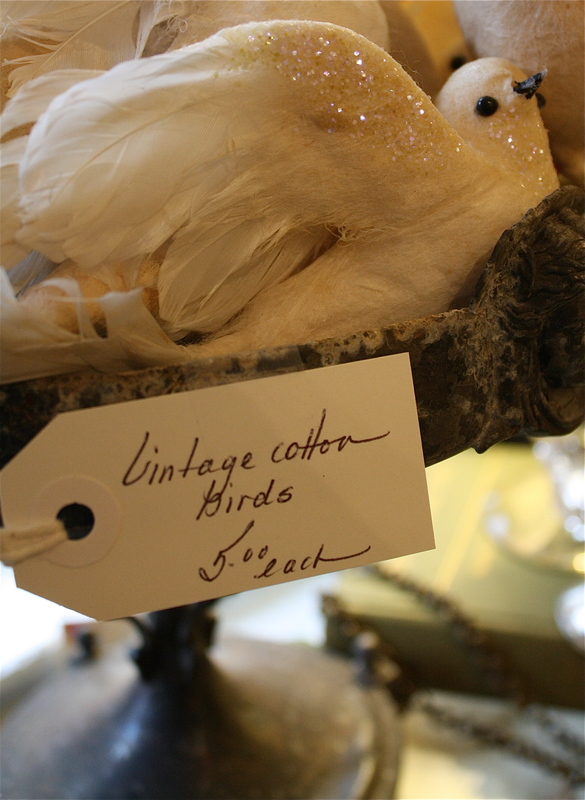 Please enjoy these photos of Nesting on Main! 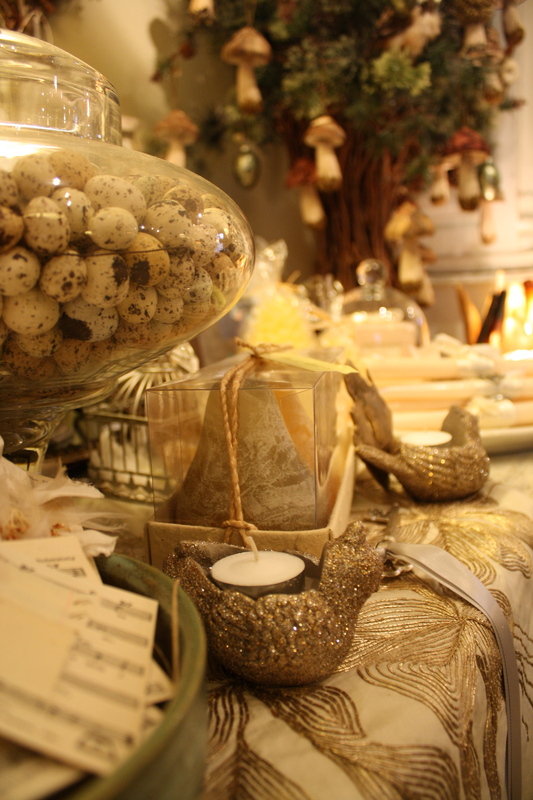 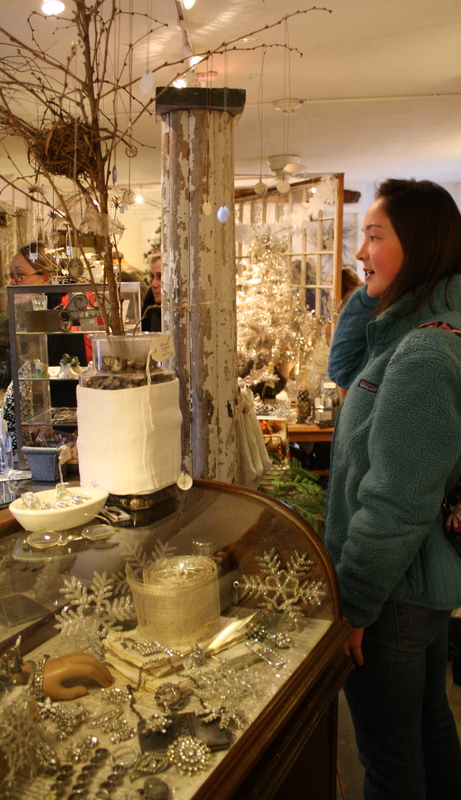 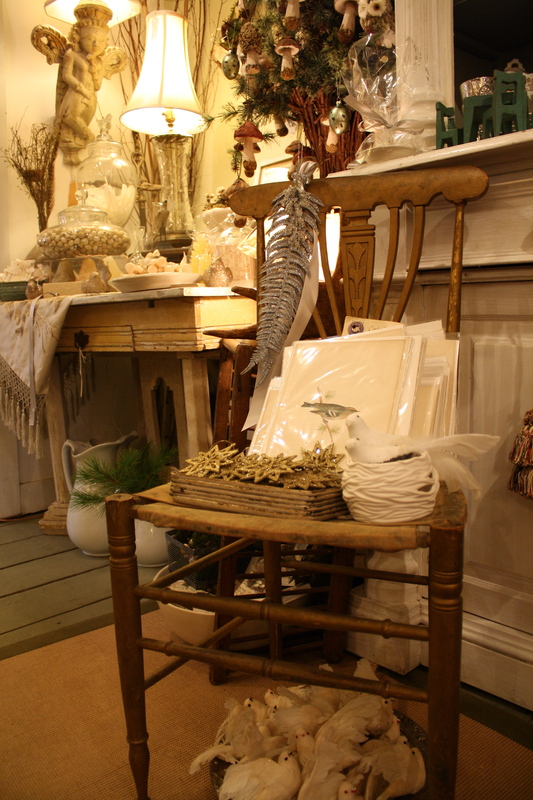 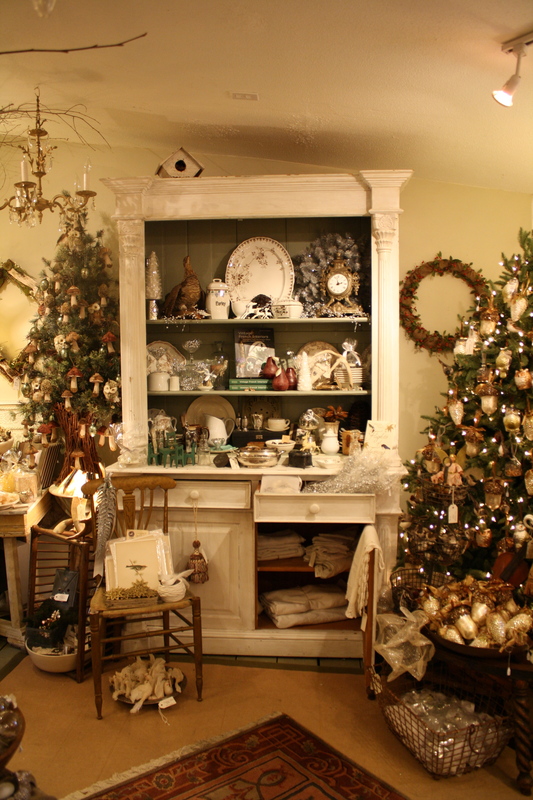 If you live near Concord MA, I highly recommend a visit to Nesting before Christmas. 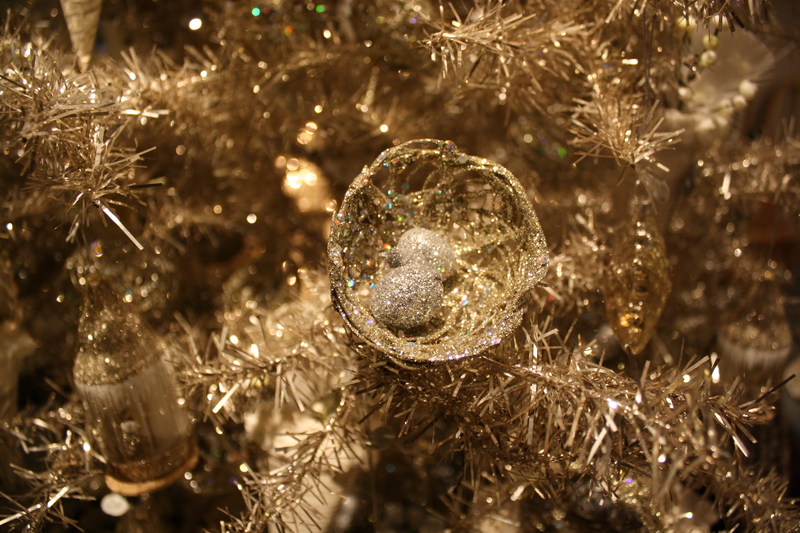 If you are too far away, I hope these images bring you a few smiles as we celebrate the magic of the holiday season. 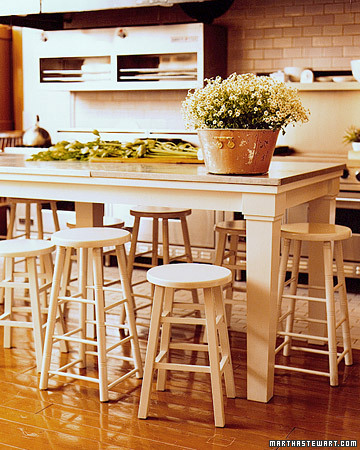 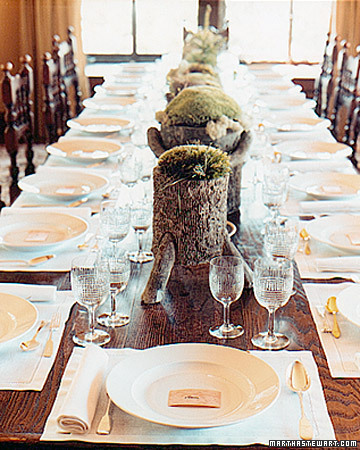 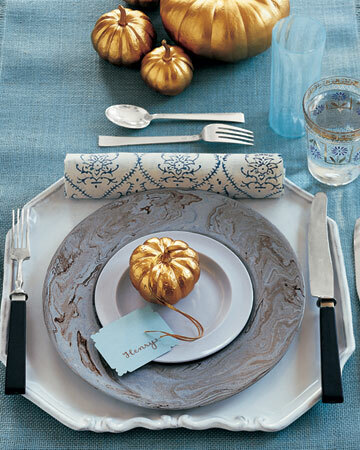 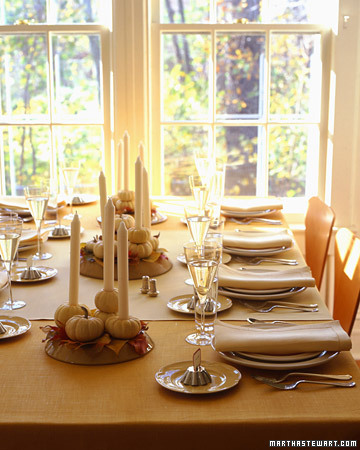 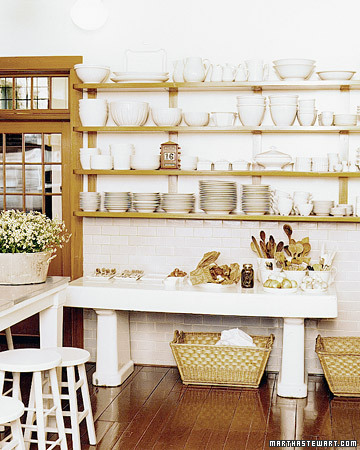 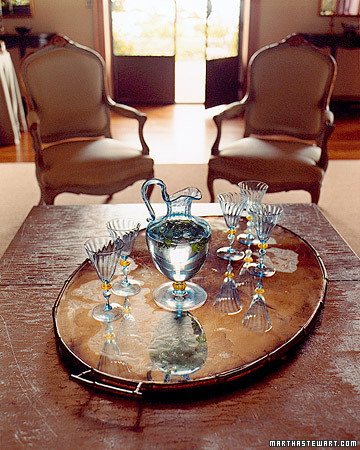 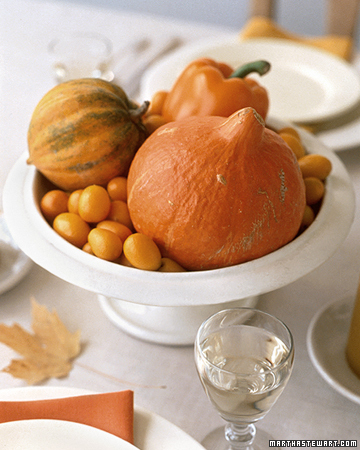 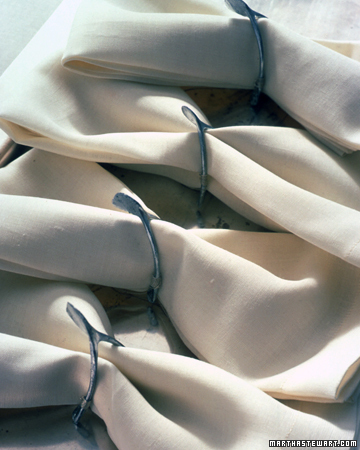 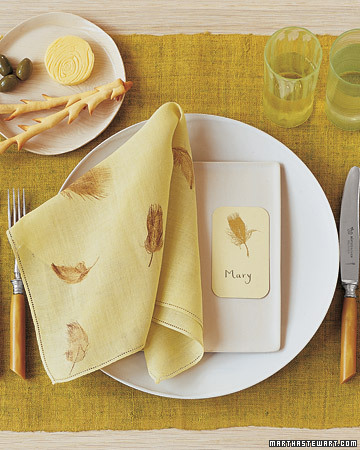 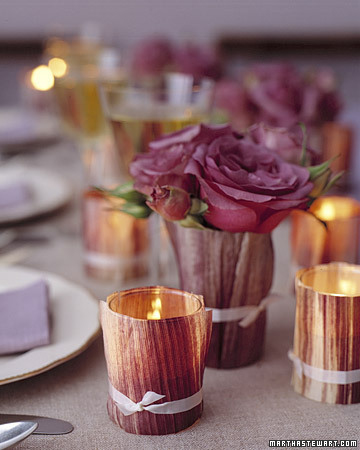 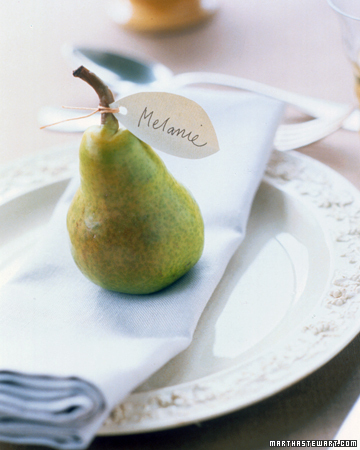 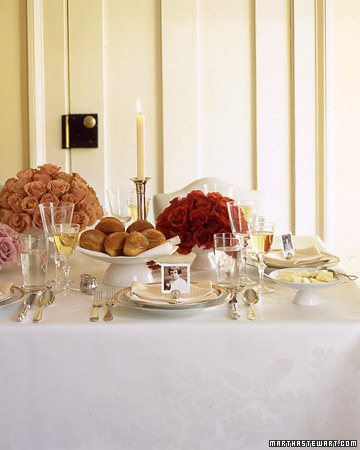 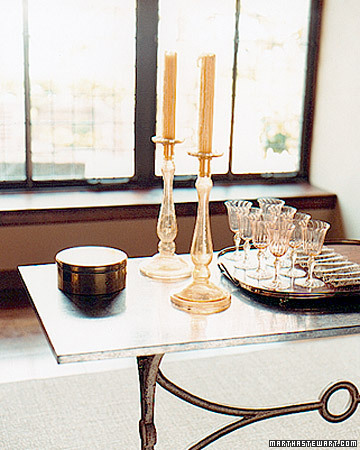 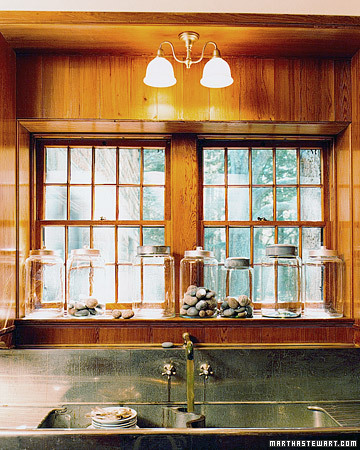 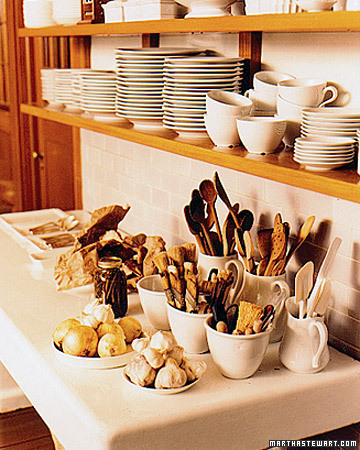 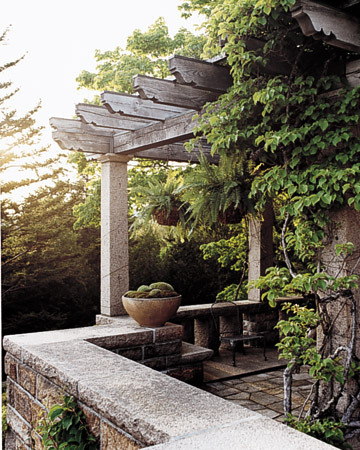 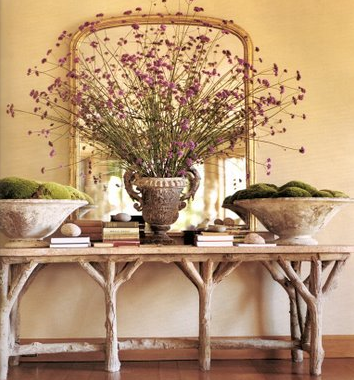 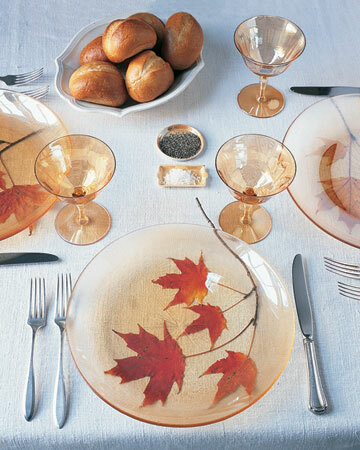 below, photos from Martha Stewart ~ fall inspired table settings, perfect for Thanksgiving day!